I can’t wait for our breakthrough! I can’t wait to literally birth the impossible. We know our children are going to enter this world because of a miracle the Lord is going to do. He is going to take a situation that is impossible on paper and according to the doctors authority and He is going to make it happen. Why would we trust the Lord for something so impossible? Because that is what Jesus loves to do – Births life into impossible situations. Not just physical births, but emotional and spiritual too. He is looking for people and situations that are completely surrendered to Him so He can perform a miracle. The power of the miracles the Lord does is in the word He speaks. 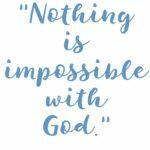 It’s what His word says – Nothing is impossible with Him. It’s not in what we do or don’t do. The promise is in the word from the Lord. That is why it’s so important to be in the word – so that we know what His promises are for us! 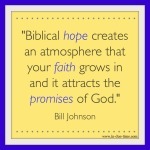 I love Bill Johnson’s message about miracles. He reminded me that all the barren women in the bible conceived. Isn’t it amazing that every barren woman had children? Hannah and Sarah contended even though they were barren. 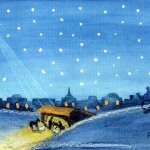 Mary surrendered even though she wasn’t married. 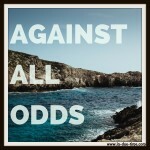 These aren’t the only ladies who have testimonies of impossible situations. We are all designed to give birth to something impossible. God is waiting for us to surrender to Him. Get before God and be brutally honest. He wants to be known as your God. He takes delight in you. He loves the idea of manifesting Himself through you. Jesus wants to do something by bringing the impossible out of you, but you first must allow Him to do so. Oh, dear sister! I needed this one today! For so long, I have been seeking God about a certain situation. Yesterday evening, I got a clear, definitive answer, praise God!! BUT, what He is asking me to do is….well, you guessed it IMPOSSIBLE…at least for me. I have been reading a wonderful book by Bruce Wilkinson called “The Dream Giver” (you HAVE to read this sometime, if you haven’t already), but in the book, he makes it clear that God will not do our dream FOR us. As I stood at the kitchen sink last night after being shown very clearly what it is that I am supposed to do, I said, “Lord, You aren’t going to do this FOR me, according to that book.” God spoke SO sweetly and said, “No, I am going to do this THROUGH you.” The ball is now in my court….it is a very different feeling, and now I stand before this impossible mountain and it feels like I am staring up at Mt. Everest! But, as you said here, through Him, we can birth the impossible….babies who were never “supposed” to be conceived and the fruits of our lives that originate in the God-given dreams of our hearts! Thank you for this wonderful, much-needed encouragement today!!!! I think that one of the miracles that comes about during this time is our attitudes- our ability to let God take control, finding contentment in every moment… I definitely see a miracle in that, too! 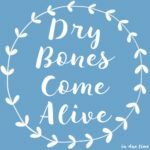 Thanks for a post that’s FILLED with encouragement and hope! Love this Caroline! God is going to perform a miracle for you and Colby soon. It IS going to happen! Continued prayers for you two! So hope hope and faith in this post!!! Amazing post Caroline! God knows the blessing you have been in my life. Love your blog and generosity with others. Ur always in my prayers because u will birth the impossible friend. Love this reminder. 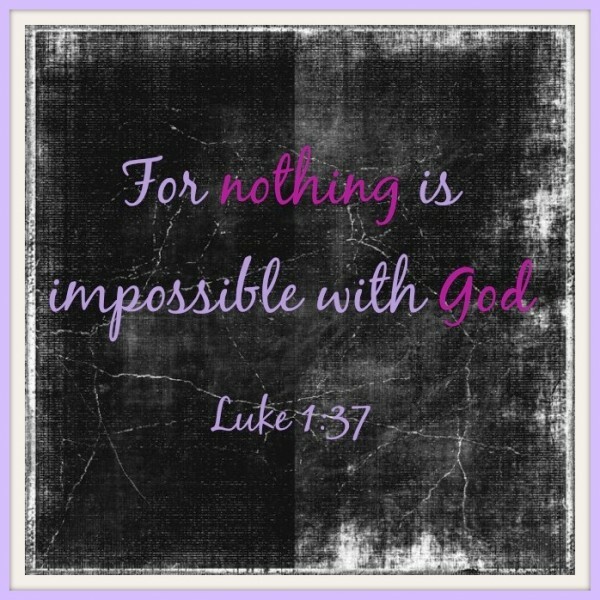 God does want to do the impossible, he wants the glory. I read the supernatural childbirth prayers every morning and I love reading about how all the women who were barren had babies….healthy babies! Rebekah even had twins, to God be the glory. I am confident that he’s cooking up something special for you! He’s a best selling author and his stories are always unbelievably true. Such a beautiful and powerful message. Your story reminds me of my first child. The doctors recommended we abort her because the ultrasound indicated a severe form of brain abnormalities — they said she would only live a year. We said no. She is now 21, normal, beautiful, joyful young woman. Have faith! I have never heard of “first world problems” before but it sounds like something we all have. I like that you find the positive in all of the stress and uncertainty. My kids are just like yours — I cannot tell you how many rocks they are hoarding in their rooms! Blessings! I can’t wait for God to give you and Colby this miracle! It only be from God!! Amen. I think it’s easy to be naive in life today and think that miracles only happened back in the Bible days… but we serve a powerful God who is able to do ANYTHING! Great reminder.